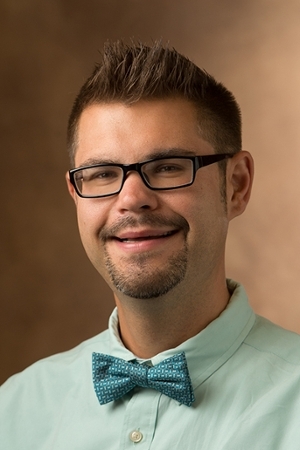 Southern Illinois University Edwardsville’s Pietro Sasso, PhD, assistant professor and director of the college student personnel administration graduate program, has been named Emerging Scholar in Residence for the American College Personnel Association’s (ACPA) Coalition for Men and Masculinities. In this role, Sasso will work with other emerging leaders and support the work of the coalition as a resident expert, including authoring critical thought pieces and delivering conference presentations. His residency will last a minimum of one academic year. According to Sasso, this opportunity will strengthen his teaching related to college student development and research activities. Sasso will begin his position at the 2017 ACPA Convention being held March 26-29 in Columbus, Ohio. Photo: Dr. Pietro Sasso, assistant professor and director of the college student personnel administration graduate program at SIUE.